Upcoming Ash Wednesday marks the beginning of Lent. 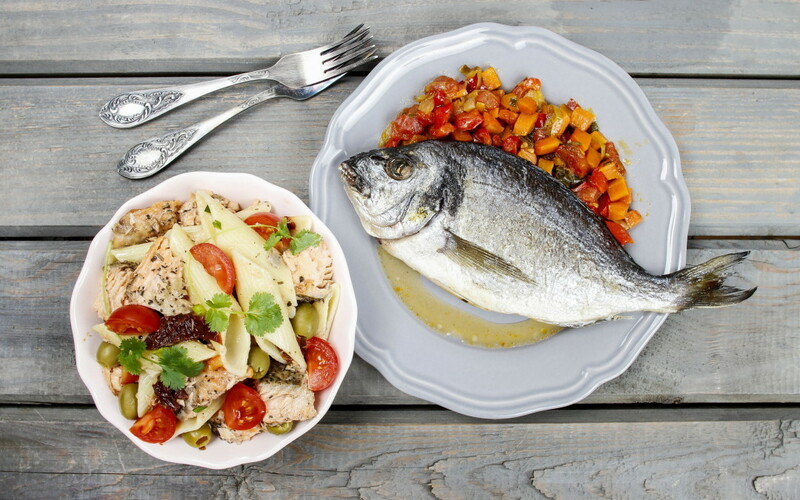 Eating fish instead of meat is highly popular during the six week period of abstinence and fasting until Easter celebrations. Lenten season boosts seafood sales to a great degree which consequently exerts additional pressures on our already depleted ocean resources. Globally, around 33 percent of marine fish stocks are overfished and a further 60 percent are maximally sustainably fished . However, enjoying fish without remorse is possible. “Consumers can be part of the solution without giving up eating fish. A sustainable choice makes all the difference for both our oceans and millions of people dependent on fish for food and income”, WWF marine expert Axel Hein claims, calling on consumers to follow the recommendations in the WWF Seafood Guide. “Nowadays, sustainable fish can be bought at almost every supermarket or fish monger”, says Hein. He recommends choosing local and organic farmed fish such as trout, char or carp. ASC-certified farmed seafood is a responsible choice as well. Demand for wild caught marine seafood is very high amongst European consumers, though. Wild products dominate in the EU seafood market, accounting for 76% of the total per capita consumption . Given the critical state of many fish stocks, a sustainable choice of wild products is of particular importance. “If you do not want to do without marine fish, look for MSC-certified products and consider it a delicacy rather than an everyday commodity”, Hein recommends. WWF’s Online Seafood Guide, optimised for mobile devices, provides an easy point of orientation when buying fish and can be quickly at hand via smartphone. It rates more than 60 species for their sustainability with simple traffic light system. Renowned European chefs also contribute their favorite recipes to making cooking a new seafood purchase easy and exciting. Additionally, stories about individual species allow for a deeper dive into the topic. A sustainable choice of fish contributes to the long-term recovery and conservation of fish stocks. It thus supports the livelihoods of more than 800 million people worldwide, who directly or indirectly depend on fish as a source of income . European consumption particularly affects ocean-dependent people in developing countries. Large amounts of seafood are imported to meet European demand – imports cover about 70 percent of EU domestic consumption . An estimated 50 percent of the EU’s seafood imports come from developing countries .